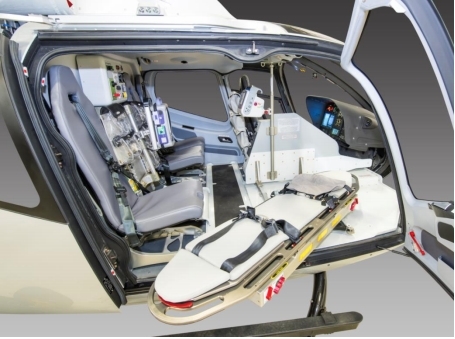 LifePort, a Sikorsky company, announced today it has been granted an FAA Supplemental Type Certificate (STC) to equip the Airbus H130 aircraft with a lightweight medical interior. The system addresses current operator needs for a lowweight, functional system that can be reconfigured quickly. “The H130 delivers twin-engine like capability in a single-engine air medical environment. Its’ unobstructed cabin offers full patient access and the large front hinged and sliding rear doors allow for ergonomic loading and unloading of patients. LifePort’s STC’d EMS interior offers our customers another option, without compromise to the H130’s outstanding performance in high and hot environmental conditions.” stated Treg Manning, Vice President of Sales and Marketing, Airbus Helicopters, Inc.